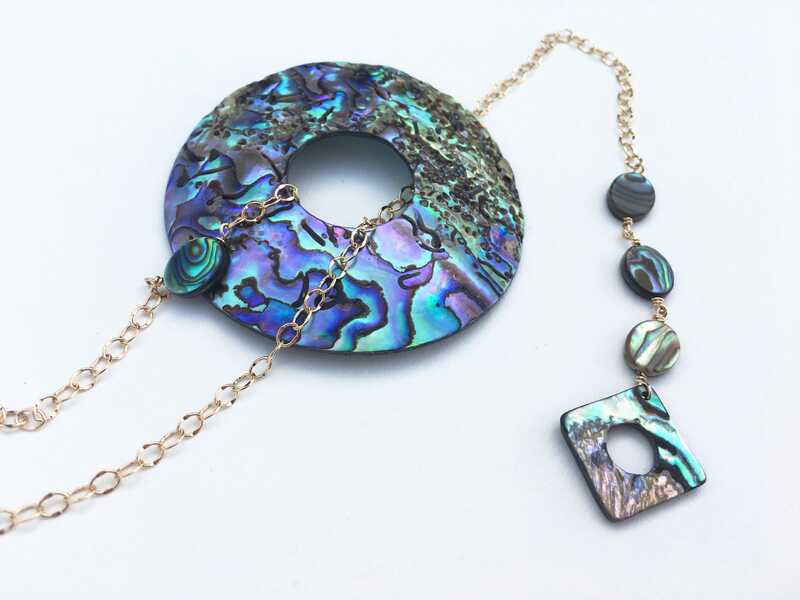 A small abalone square is adorned with three beautifully colored abalone beads, each wrapped with 14k gold filled wire. 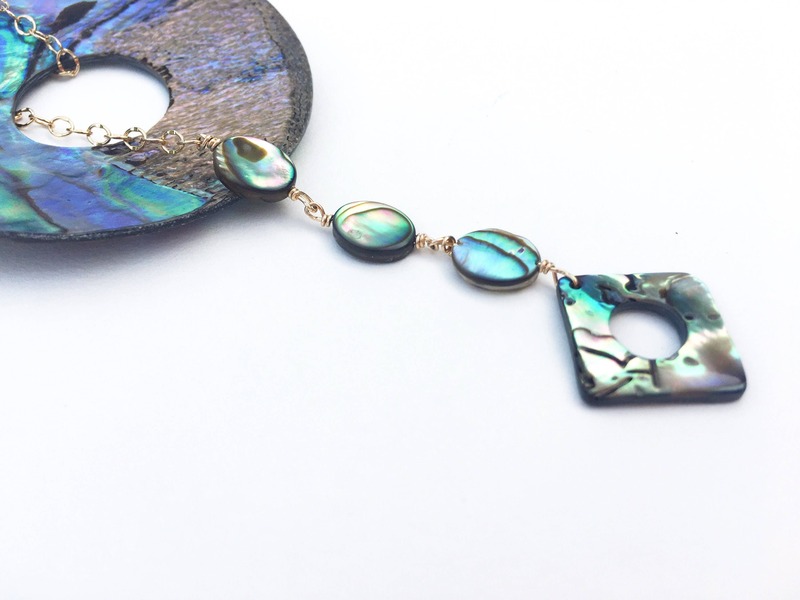 A large abalone circle rests at the opposite end of this adjustable lariat necklace. 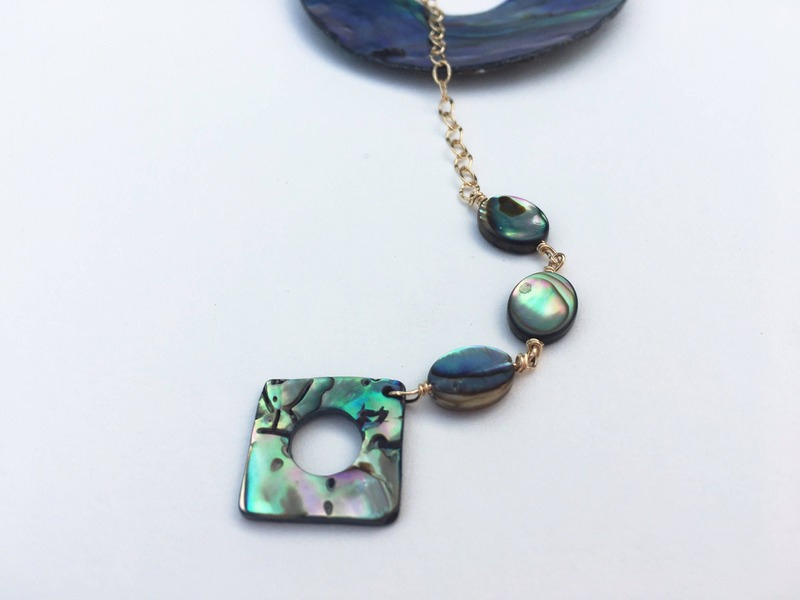 When pulled through the center of the circle component, the square shell can be adjusted to lay at different lengths and create the necklace length you desire. 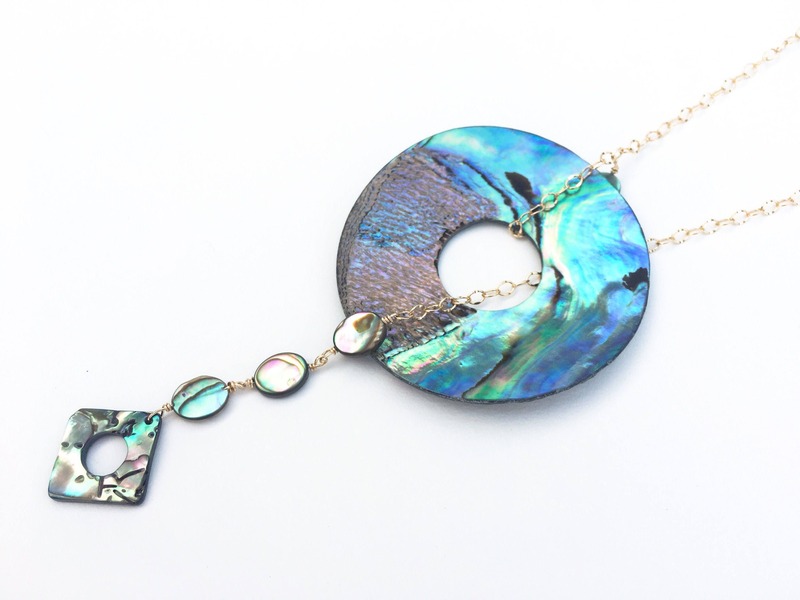 A beautifully hammered 14k gold filled chain compliments the bright, cool colors of the abalone. 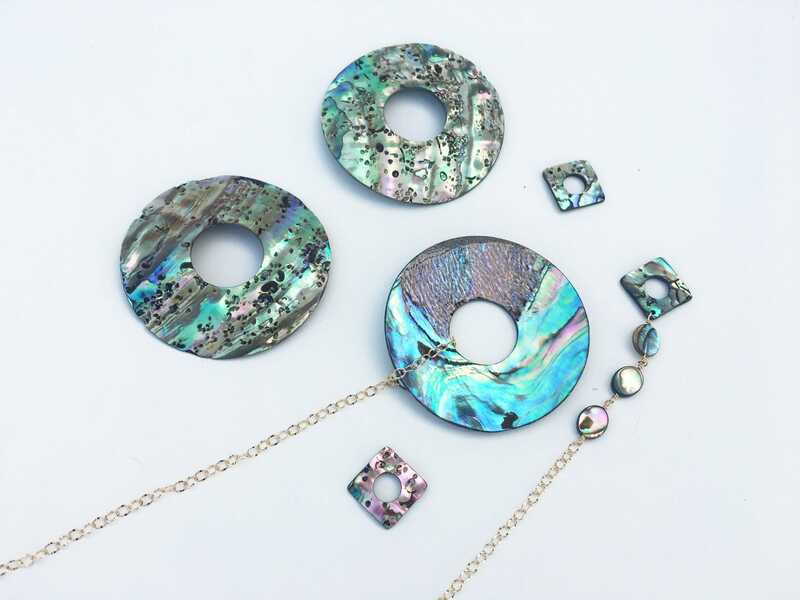 Abalone shell is believed to promote intuition and bring calmness to the wearer. 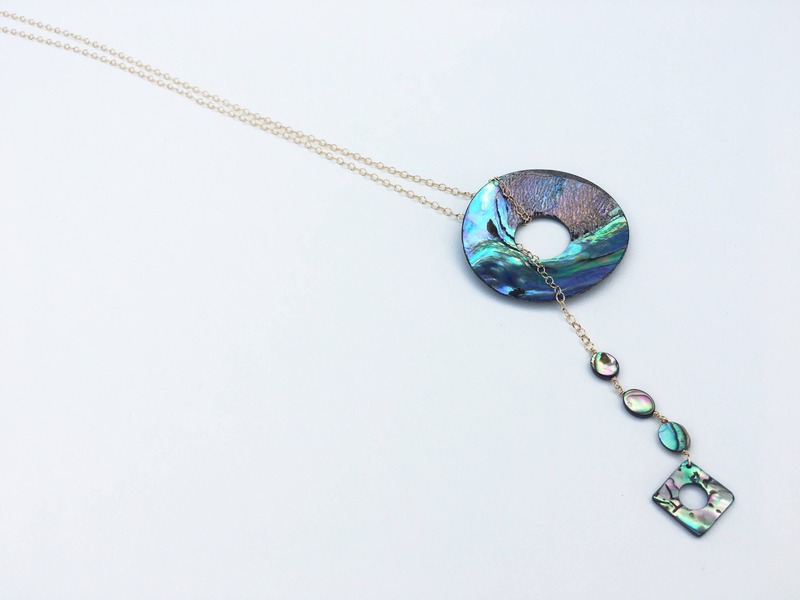 Wear this lariat necklace as you venture through life with fewer worries and more knowledge. 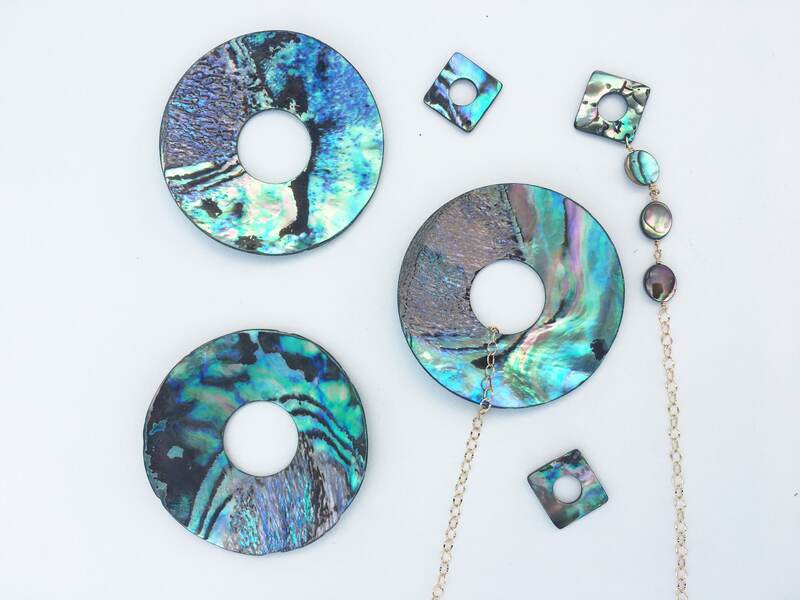 *Please note each shell is unique and may vary from the images shown. 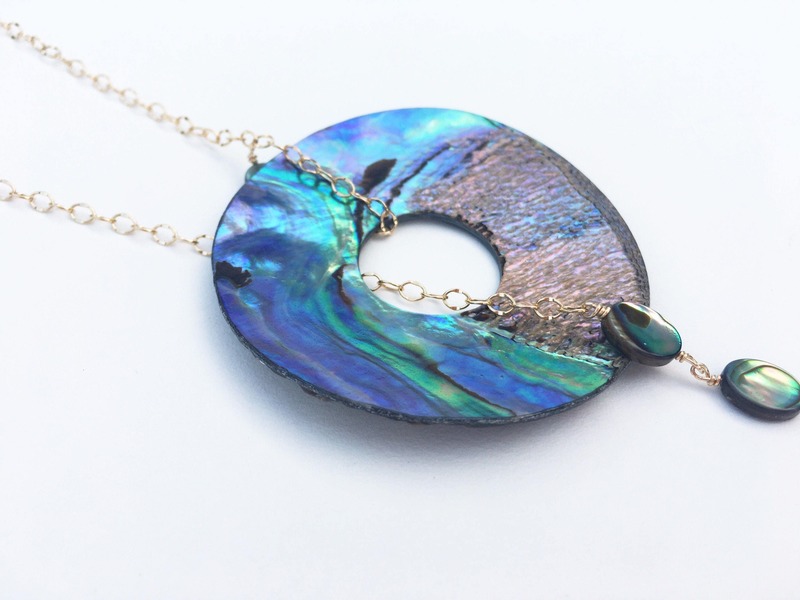 The final piece will have the same size and shape, although may vary slightly in color or pattern. 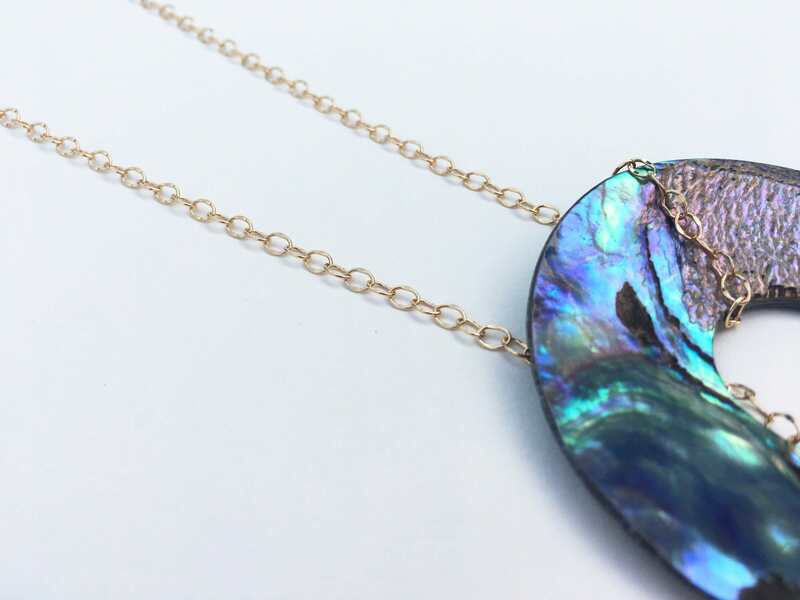 Only 14k gold filled wire and chain are used for this necklace. With reasonable care 14k gold filled materials will not peel or flake, and should last as long as solid 14k gold jewelry. It is safe for most people with sensitive skin.